There are two ways for this to happen. The first is when there are really two foreign words, similar to the situation with “bank” in English (both a financial institution and the side of a river); that’s not what I have in mind here. 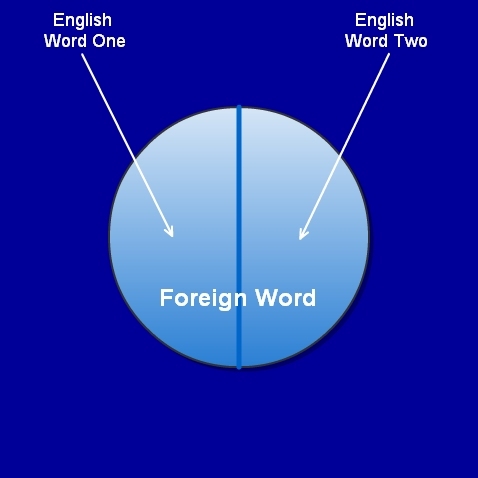 The trickier case is when the foreign word only has one meaning, but that meaning is more general than any English word, so it takes two (or more) English words to cover the same semantic territory as the one foreign word. This is depicted graphically to the right. 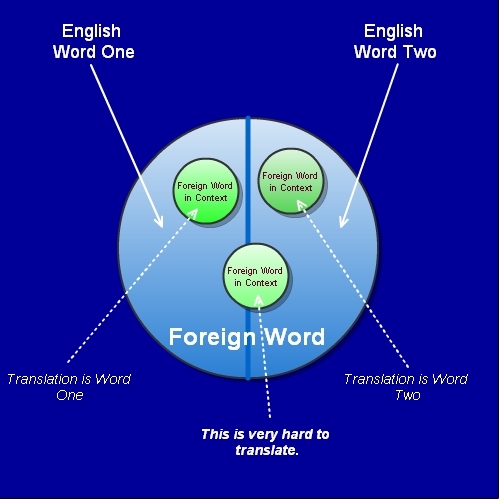 But sometimes the usage of the foreign word spans both English words, and this is always a true dilemma for the translator. Neither English word suffices as a translation. We don’t see this with eitz, but lots of other words come to mind. One example seems to be sarx in Greek (as was discussed extensively about a month ago by Peter Kirk, Clayboy, Mark Goodacre, Jason Staples and others, and again in passing yesterday by T. C. Robinson). It’s not exactly that sarx means more than one thing. 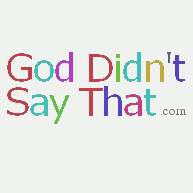 Rather, its meaning includes “body” in English, but it is broader than that English word. When sarx is used for “body” or “flesh” (say, in Leviticus 13:24), it’s easy to find an English translation. But when it includes “body” and other important denotations as well, a good translation is elusive. I think another set of examples comes from gender words. The Greek adelphos, for example, includes the English “brother,” but also what we might awkwardly call “co-member of society.” Again, the word doesn’t have more than one meaning, just more than one good translation, depending on context. What other important words like this present themselves?